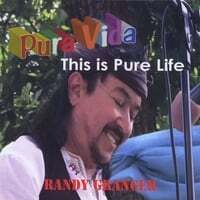 The award-winning 2010 Album Pura Vida-This is Pure Life. Ambient, chill Southwest World music with Native American and World Flute, the Panart Hang, Halo, World percussion, vocals all layered in rich, emotive luscious sounding music. Also features the huge hit for Granger "Hallelujah" a cover of the Leonard Cohen Song. Nominated for New Mexico Music Awards, Native American Music Awards etc. Click the link to sample sound clips, download MP3's, or by the physical CD.